SLAVЕ’ NIKOLOVSKI – KATIN, who is known only as Slavè Katin, is a great lover of his native Prespa, of Macedonia, ethnic Macedonians, as well as of the Macedoniaj Orthodox Churvh-Ohrid Arcbisopric and the Macedonian Diaspora. He is known to the Macedonian and international community for his numerous publications, journalistic and scientific papers devoted mainly to the ethnic Macedonia and the Macedonians in the world. He was born on August 19, 1941, in Dolna Prespa in a house which the waves of Lake Prespa used to splash at that time, near the old settlement Nakolec. He was born at the start of World War II when Hitler’s Germany, opiated by fascist ideology, rose against the entire world believing it had the power to seize it all. His biography tells us that several months after he was born his family moved to Ljubojno, where his mother Sandra came from. She came from the Grezhlovski family. Slavè spent most of his childhood and early years there, where he has a library of 4.000 book, and has continued to return to it almost his entire life. Thus, from a very young age he felt the hard migrant life of the people from Prespa, particularly through the migrant saga of his grandfather, Alekso (Alec) Ristov- Grezhlov. Slavè completed eight years of primary school in the school “Dimitar Vlahov” in Ljubojno gaining his certificate, and learned Geodesy at the Secondary Technical School “Zdravko TSvetkovski” in Skopje. He studied at the Geodesy Department of the University of Belgrade, then he continued his education in Toronto, but graduated from the Department of English Language and Literature at the Faculty of Philology “Blazhe Koneski” at the University of St. Cyril and Methodij in Skopje. Slavè Katin is married to Nada Nikolovska, maiden name Ivanova, born in Vinica, 1949. She is retired today, but she was an advisor for the Macedonian language in the Association for the development of education in the Republic of Macedonian in the Ministry of Education and Sciences of the Republic of Macedonia. Nada Nikolovska - Katin is an author of about twenty school books and other literature, and on more than twenty didactical school works of Macedonian language, which greatly contributes to the educational process in the schools in Macedonia. At the same time, her school works are affirmers and protectors of the Macedonian language and literature in Macedonia and abroad. 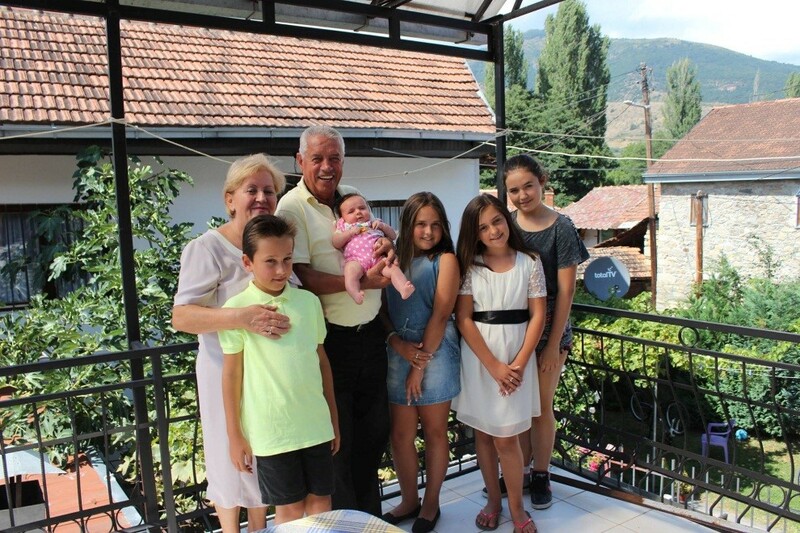 Nada and Slave Katin have two children: Their son Aleksandar, born in Skopje, 1974, doctor of veterinary medicine – DVM, and their daughter Dafinka, born in Stip, 1975, professor of English, Spanish and Macedonian languages. Aleksandar is married to Radmila Nikolovska, maiden name Crceva, born in Gostivar, 1974, Doctor of veterinary sciences. 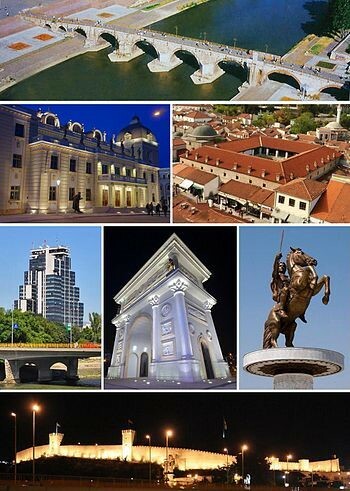 They have thre daughters, Sandra Nikolovska – Katin, born in Skopje, 2003, who carries the name of Slave Katin’s mother. On her 6th birthday, Katin published a monograph with Sandra’s drawings which she did in kindergarten, and photographs of her preschool period. The second daughter Kostadina (Dina) Nikolovska - Katin was born in Skopje, 2006. On her 6th birthday, Katin published a monograph with Dina’s drawings which she did in kindergarten, and photographs of her preschool period. The third one Nadya, who carries the name of Aleksandar’ mother, Nada, was born in 2016. Dafinka is married to Gianpaolo Scatozza, known as Jippi, born in Rome. He finished Music at university in Rome, and is now a jazz musician and a teacher of music. They have two children, the daughter Isabel Katin - Scatozza was born in Toronto, 2006, and Massimo Katin - Scatozza, was born in Toronto, 2007. Also on their 6th birthday, Katin published two monograph with Izabel’s and Massimo`s drawings which they did, and photographs of their preschool period. Izabel I also an author of the the poetry book “The Rain“ which is written in the three languages Isabel communicates in her every day life: English, Macedonian and Italian. Upon her request the first book was launched in Ljubojno on August 2, 2017 on the Macedonian national holiday named Ilinden. Finishing Technical school Slavè Katin worked as a surveyor for the Assembly of the Municipality of Resen for several years. During his studies in Belgrade, at the beginning of 1966 he went to Canada, where he remained for four years. 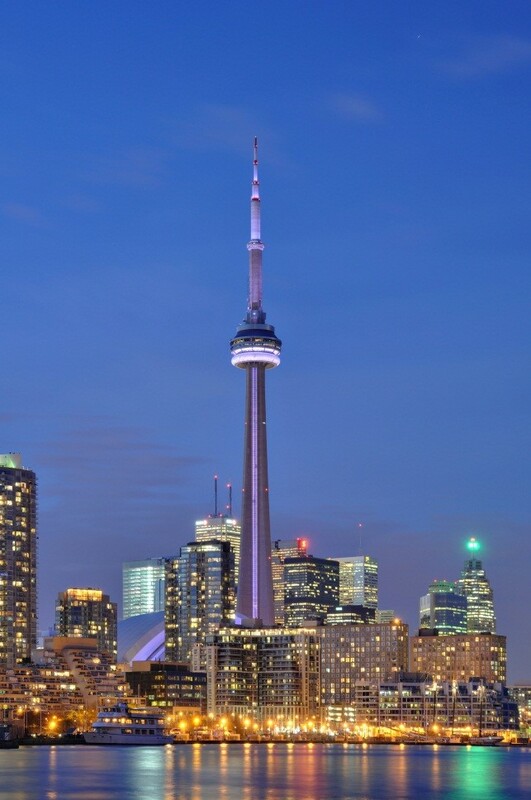 In Toronto he attended the special Institute for English Language and Literature. For a while he worked as a surveyor, and was also active among the Macedonian colony in Toronto. In 1978 he spent a term as Secretary General of the church management of the Macedonian Orthodox Church of “St. 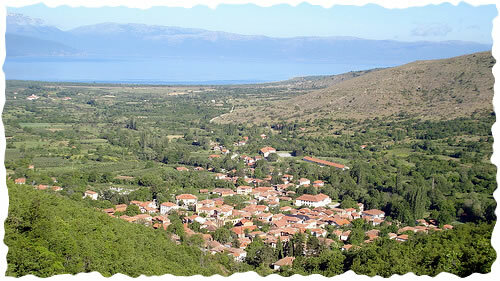 Clement of Ohrid” in this city. At the same time he was active in the field of journalism, collaborating with the “Duhovna iskra” (Spiritual Spark) magazine in Toronto, and with other Macedonian printed and electronic media in Canada and the United States of America. During the summer of 1970, under recommendation of the time being Yugoslav ambassador, his excellency Mitko Chalovski, Katin returned to Macedonia as a student of the Government of the Socialistic Republic of Macedonia, actually of the Association (Matica) of Immigrants of Macedonia. Together with a few students from Canada and Australia he had a status of a foreign student in Macedonia, with an aim to return to Canada. However, in 1972 he got married with Nada Ivanova, a professor of Macedonian language and Literature, and he stayed to live in Macedonia, in the ancient Ohrid. After graduating from the Faculty of Philology and returning, Katin worked as coordinator and translator for the Hydro biological Institute in Ohrid for five years. This took place during the period of research on Lake Ohrid determined in the Agreement between the Institute and the Smithsonian Foundation in Washington. During this period he worked intensively on a number of translations of scientific and technical character, translating from Macedonian to English and vice versa for the needs of the Institute. He also worked on a series of English translations of scientific papers published in the country and abroad. During the period 1979-1984 Nikolovski worked for the “Matica” or head office of the Macedonian emigrants where he headed the Information Service and worked as translator and journalist for the “Makedonija” (Macedonia) magazine. Between 1984 and 1990 he found himself at the National Conference of the Socialist Soyuz (Alliance) of the Working People of Macedonia (RK of SSRNM), where he edited the “Informative pregled” (Informative Summary) and other informative publications of this public organization. At the same time the executive council of RK of SSRNM appointed him head of the Information Service and secretary of the commission of RK SSRNM for interethnic relations and of the board for realization of the role of SSRNM in the sphere of religion and religious communities. During the period 1991-1998, appointed by the Assembly of the Republic of Macedonia as an independent state, Katin was Vice President of the National Commission for relations with the religious communities. In 1999 once again he returned to the “Matica” which had by now been transformed into the Ministry of Emigration, and following a reconstruction of the government, was again named into the Agency of Emigration. With the aim of devoting himself more intensively to the emigrants, in 2001 Katin left the Agency retiring early. However, during the past twenty years after retirement, he has been active in the publishing business. As an editor-in-chief in one of the prestigious publishing houses – Makedonska iskra (Macedonian Spark) from Skopje, he has achieved great results in publishing, especially in publishing of school books. Slavè Katin has edited and published several hundred titles, out of which the greatest number are school books and didactical literature, which are a great contribution and achievement in the educational processes of the Republic of Macedonia and for the Macedonian pupils in the Diaspora, and which are proved by the Ministry of Education and Sciences of the Republic of Macedonia, a great number of books of the Macedonians, associations, organizations in Canada, USA, Australia and United Union, then books of well-known and unknown authors from Macedonia, as well as books by Slavè Katin. As an official of the Government of the Republic of Macedonia, Slavè Katin has visited and has had talks with the heads of the Romanian, Ukrainian, Russian and Serbian Orthodox Churches. Slave Katin has also visited the Patriarchy in Tsarigrad (Istanbul) and the Vatican in Rome. Slave Katin was a member of the Republic of Macedonia's Delegation during Mother Teresa's funeral in Calcutta, India, and many time he traveled with delegations of the Macedonian Orthodox Church-Ohrid Archbishopric to Canada, the United States of America, Australia, and a number of European countries, Turkey and Israel. Of the fifty five books he has written, in his creative opus, the following deserve special mention: The Macedonians in the USA and Canada(in Macedonian and English); The Macedonian Orthodox Churches in Australia, Canada and the USA; Ilinden 1903-2003 and the Macedonian Immigrants; The Macedonian Holocaust; The Press of the Macedonian Immigrants (in Macedonian), as well as The Contribution of Macedonia to the World Civilization, From Panonia to Aegae, In Honor of Saints Cyril and Methodius, 40 Pilgrimages to the Tomb of St. Cyril in Rome, and The Aureole of the Virgin Mary and the Saint Mary Monastery of Sliv­nica in Prespa (in Macedonian), (as co-author with Academician Prof. Antonije Škokljev-Dončo Ph. D and Prof. Vera Stojčevska-Antić, Ph. D), Macedonia in Ancient Times, and Macedonia in Ancient Times (as co-author with Academician Prof. Antonije Škokljev-Dončo Ph. D and Risto Stefov). 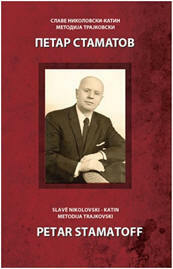 Slavè Katin has also authored books of the great Macedonian donators from the Diaspora, Atanas Bliznakoff (two editions), Petar Stamatoff (co-author with prof. Metodija Trajkovski) and George Atanasoski from USA, Metropolitan Kiril , George Tomov in New York, Svetle (Steve) Stamevski in Detroit, Andrea Branov in Melbourne, The Janovski Family in Toronto, Boško Rajčovski-Pelisterski in Florida, Blagoj Mehandziski-Zegin in Skopje (in Macedonian and English), Esma Redzepova – Teodosievska in Skopje (in Macedonian, English and Roma), Siljan Micevski in Bitola (co-author with Georgi Lumburovski), and Goga Pechenkovski in Resen (in Macedonian). Slavè Katin is also known for his lexicographical works: An English-Macedonian Limnological Dictionary,the children’s dictionaries: Lets Learn Macedonian, English, French, German, Turkish, Albanian, Vlach and Roma Languages, for the translation of the novel Alexander the Great (of Macedon), by Ulrich Wilken (from English to Macedonian), as well as for the books Along the Tracks of Evliya Celebiya (in Turkish), and Love Stories (in English). Special place in the publication work of Katin should be pay to his latest books: Ilinden in Ljubojno and Prespa (in English and Macedonian), the fifty book The World on the Hand and Macedonian Immigrants Meridians (in Macedonian), as well as his fifty fifth publication Israel and Macedonia (in English and Macedonian). Throughout his work and creative activities, he has published 55 publications, lexicographic editions, translations from Macedonian to English and vice versa, scientific papers, newspaper articles, etc. In addition, he is an author of more than three thousand journalistic texts and serials, descriptive reports, reviews, and portraits, translations of literature, linguistics and culture in English and in Macedonian, as well as other texts and materials published in the country and abroad. Slavè Nikolovski-Katin was an accredited journalist from Macedonia for the newspaper “Australian-Macedonian Weekly” from Melbourne for three years, and “International Politics” from Belgrade. Most of his works refer to and are connected with the activities and the life of the Macedonian Orthodox parishes in Australia, Canada, U.S. and European Union, as well as with Macedonian expatriates overseas and in European countries, while around 50 translations from Macedonian to English published under the Heading of the magazine “Macedonia” titled "From month to month” refer to the cultural and social life in the Republic of Macedonia. He has participated in 50 symposia, debates, conferences and other sessions in the country and abroad where he presented papers mainly relating to culture, literature, language and religion, and the information and other activities of the Macedonian emigrants overseas and in the West European countries. As an active journalist, he was elected as secretary of the Association of Journalists of Macedonia, for a period of five years. Then, he was a member of the Presidency and the Commission for International Cooperation of this Association. He was also a member of the Council of the Centre for Foreign Languages in Skopje, the publishing board of “International Politics” from Belgrade, and a member of the Association of Literary Translators of Macedonia. He was vice president for two terms, and a member of the Society for Literature and Culture Macedonia-Canada; he was an honorary member of the Association for the use of the Macedonian Language in Official and Public Communication; a vice president and lifelong member of the Boards of the Foundations "Atanas Bliznakoff" at the “Ss. 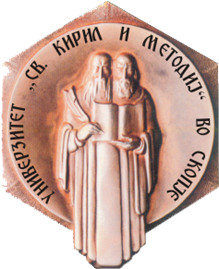 Cyril and Methodius” University, and “The Brothers Dzidrov” by D-r Lefter Mantse from Ottawa. 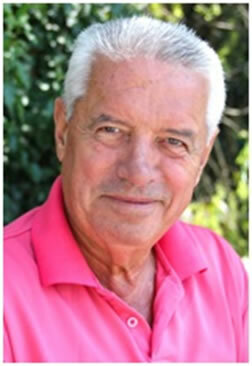 He was a member of the International Academy for Freedom of Religion in Washington, DC, U.S.A, honorary member of the Literary Association Miladinov Brothers, in Toronto, Canada, and Literary Association Grigor Prlichev in Sydney, Australia, as well as a member of the Macedonian Association of Sciences and Arts from Bitola, Macedonia. For a long time Katin has attracted attention with his dynamic informative and journalistic activities related to this corpus. It has made him a central figure in relations between the church and the state on the one hand, and relations of the state with the church and the Diaspora on the other. This kind of position has brought to him nominations in numerous associations, societies, and organizations in Macedonia and abroad. At the same time he participated in numerous symposiums, panels, and seminars within the country and abroad at the request of their hosts who appreciated and respected his views on a series of issues in their fields. In this respect Katin has established an exceptionally rich and dynamic communication with numerous people in the country and throughout the world. This enabled him to penetrate into the essence of the problems that preoccupied the Macedonians in the Diaspora and the government structures in the state who continued changing their attitudes toward the emigrants during the different periods. This is another reason for the lack of a consistent government strategy toward them. Aware of this fact Katin tries to fill in this gap, to compensate this vacuum with proposals and suggestions, and to establish a certain balance in the relations between the state and the emigrant Macedonians through concrete practical steps. Thus, he began building the great golden bridge of their link with their fatherland as an independent state, as well as their mutual acquaintance and togetherness regardless of the distance between their destinations. However, his contribution does not end here. Katin is aware that Macedonia can most be helped if it is invested in through the realization of a series of projects significant for its faster development, i.e. if those in the Diaspora, as successful businessmen, show an interest in this. Katin’s diverse palette for realization of the strategic objectives in this field covers numerous endeavors, part of which is already functioning. In addition to his relatively frequent visits to the three continents and his private meetings with the migrants, through his monographic publications about the most successful of them Katin also tries to arouse interest among state leaders in the country for collaboration with the Diaspora. 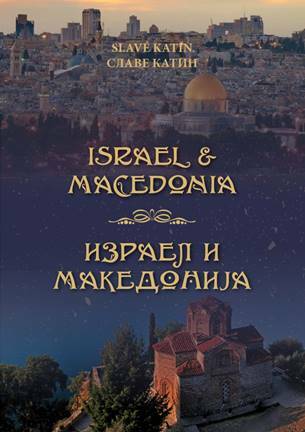 This is especially expected by publishing of his 55 book Israel and Macedonia (in English and Macedonian). The effects of such visits by respectful Macedonians from the Diaspora to their fatherland are yet to be felt, as will also Katin’s contribution in this field. The historical dimension of his national project regarding the emigrants objectively affirms him as a unique leader of a global all-Macedonian movement for the promotion of Macedonia, not only as the cradle of an ancient civilization, but as a country which contributes toward the highly developed world feeling it increasingly in its own development. Over a period of fифтѕ years, Slave Katin has published over 3.000 texts, mainly about Macedonia, the Macedonian Diaspora, religion, culture, Macedonian language and literature and other fields in the following newspapers and magazines in the Republic of Macedonia and abroad: “Nova Makedonija”, “Vecer”, “ Makedonija”, Makedonska revija”, “Literaturen zbor”, “Kulturen zivot”, “Studentski zbor”, “ Vesnik na MPC”, “Trudbenik”, “Birlik”, “Lik”, “Klimentov zbor”. “Duhovna iskra”, “Obedineti Makedonci”, “Makedonija”, “Iskra”, “Povod”, “Avstralisko-makedonski nedelnik”, “Makedonska iskra”, “Makedonski vesnik, “Makedonski iselenicki almanah”, especially in the Web-portal “Makedonska nacija”, as well as in other press and portals in Macedonia and abroad. Slavè Katin has received many awards and recognitions from a number of organizasions, associations, institutions, churches and church communities from the Republic of Macedonian and the Diaspora. He is also a receiver of the Krste P. Misirkov Award , the most prestigious one from the Association of the Macedonian Journalists in the field of journalism. 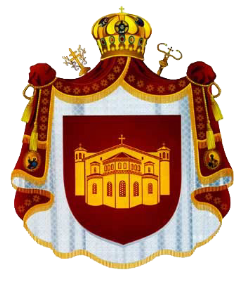 Slavè Katin does not belong to any political party, because he belongs to the Ethnic Macedonia, to the Macedonians in the Diaspora and to the Macedonian Orthodox Church-Ohrid Archbishopric, which as an institution plays an important role in gathering of the Macedonians outside Macedonia, especially in the overseas countries and all over the world.